On a recent chilly morning, Rachel Forman, A.M. ’87, walked briskly up the narrow antique staircase of the stately historic building in downtown Milwaukee that houses the Grand Avenue Club. In the secondfloor commercial scale kitchen, she donned plastic gloves and set to work preparing coffee, toast and oatmeal. Soon she was joined by members of the club, including Janet McCray, a middle-aged woman with a wide smile who tied on an apron and started helping Forman, the executive director of the club, behind the counter. Until 1985, McCray was “an independent woman, my own boss,” she says, attending college in Milwaukee after her kids were grown. Then one morning she woke up feeling shaky and desperate, the start of major depression and anxiety illnesses that would land her in the hospital for 11 days and be with her the rest of her life. The next decade McCray spent mostly isolated in her room, fighting episodes of fear and paranoia. “I couldn’t work, drive, nothing. It was bad—very bad,” she remembers. After years with little significant progress, McCray’s psychiatrist recommended a new approach: that she go to the Grand Avenue Club, part of of the international network of “clubhouses” where people struggling with mental illness can attend at no cost and find a sense of community and structure vastly different from the clinical atmosphere of many mental health treatment programs. It’s no coincidence that McCray was preparing breakfast alongside Forman. The Grand Avenue Club is a collegial place, and a voluntary “work-ordered” day is key to helping members achieve their goals and integrate into larger communities. The model rejects the standard approach of placing people on a high-functioning to low-functioning continuum, and it does not define people based on their specific diagnoses. Forman compares the clubhouse model to the settlement houses of the early 1900s, where immigrants and other disenfranchised people worked together to build supportive structures and undertake social advocacy. “We’re not pathologizing people; we don’t talk about what’s wrong with them. Instead they lose themselves in the relationships and the work, and they get better,” says Forman, who accepted SSA’s 2012 Distinctive Innovation in Social Services Award in October on behalf of the Grand Avenue Club. The award recognizes social service agencies or programs that demonstrate innovation in their approaches and practices that generate sustained results for their clients and enhanced learning for their employees and the field. Rachel Forman grew up in the 1960s in a Brooklyn housing project known as the Boulevard Houses, home to a community center infused with civil rights activism. Social justice and feminism were central to her academic career as she got an undergraduate degree at Brooklyn College and a doctorate in sociology at Boston University, where she also spent much time in the political science department and worked for several years with historian and author Howard Zinn. Forman’s published dissertation, “Let Us Now Praise Obscure Women,” celebrated how poor women cope in the U.S. and England. She taught at Bostonarea colleges until her husband, Boaz Avitall, was selected for a cardiology fellowship at the University of Chicago Medicine. Forman took the move to Chicago as an opportunity to explore a new approach to her career. Though she loved teaching, she hungered for a more hands-on approach, a more direct way to make a difference. With that in mind, she enrolled in SSA for the masters degree program, focusing on social policy and administration. Her first year of field work at SSA, in the oncology department at the University of Chicago Medicine, was intense and sometimes disheartening, but the second year at the Jewish Council on Urban Affairs and their affiliate, the Public Welfare Coalition, was a more uplifting experience, working to involve the community in a campaign to raise welfare payments. 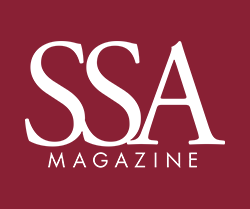 Forman says she was deeply influenced by SSA’s Samuel Deutsch Professor Emerita Dolores G. Norton’s Human Behavior in the Social Environment class and the work of luminary SSA professors Helen Harris Perlman and Charlotte Towle. She was enamored of Towle’s concept of common human needs, which Forman calls “a powerful statement about public assistance and social support as the right of citizens in a democracy.” And she loved Perlman’s “insistence that ‘relationship’ lies at the center of all successful social work.” Ultimately, Forman credits SSA with changing the course of her career from an academic focus to the activism and community involvement she had craved. At the urging of Roz Libman, a co-founder of the National Alliance for the Mentally Ill, Forman helped form the Clubhouse Coalition of Milwaukee and secured a $200,000 county grant to establish a local clubhouse. When a search began for an executive director, Avitall convinced her to apply. Even though she had two young children at the time and “never had any administrative aspirations,” Forman got the job and has held it since. In addition to running the Grand Avenue Club, Forman has been a big part of the movement, which includes clubhouses in 32 countries, from Norway to Pakistan, with about 200 in the U.S. Forman and Grand Avenue Club member Serge Blasberg co-chair the International Clubhouse Advisory Council, and Forman has been central to developing the network’s accreditation standards and promoting the clubhouse model nationwide. Every Tuesday and Thursday morning, Forman leads a general meeting in the clubhouse’s fourth floor art gallery. When it was founded in 1991, the Grand Avenue Club was located on one of the city’s main thoroughfares. But for more than a decade, it’s been at the ornate edifice that formerly housed the Bank of Milwaukee on the city’s only block of intact 19th-century structures. The meeting has a supportive, playful vibe—members toss out gentle jokes and asides—yet there is an air of seriousness about the clubhouse’s work. Like at every meeting, members read and discuss one of the 36 guiding principles of the international clubhouse movement. A central principle is that once someone becomes a member, they have life-time privileges to return whenever they want, even after lengthy absences. There are about 1,300 members enrolled at Grand Avenue Club and about 450 considered active, with up to about 90 attending any given day. If a member hasn’t shown up in a while, other members reach out to make sure they are okay and not “isolating,” a common pitfall for many people with mental illness. After the group meeting, people sign two handmade cards to be sent to members who had not been seen recently. Another tenet of the clubhouse model is making sure members have affordable, decent and dignfied homes. Grand Avenue Club is the sponsoring agency for federally approved scattered site affordable housing units managed by another agency. And they are seeking funding to develop a building with 16 subsidized units for members and seven market rate units—“a completely integrated model,” Forman notes. Grand Avenue Club also runs a transitional employment program, wherein local employers, including law firm Foley & Lardner LLP, Derco Aerospace and a natural foods store, hire members for transitional positions doing maintenance, clerical work and food service. Grand Avenue Club staff also help members seek permanent employment and education, ranging from GEDs to four-year college degrees. Many members do go on to independent jobs or schooling. But others benefit greatly from spending their days at the club occupied with duties from feeding fish and chopping cucumbers to data entry and producing the daily internal newsletter The Source. “It’s not like a Dickensian workhouse, it’s pretty laid back,” says Michael Thorson, who graduated from Yale University and got an MBA from the Wharton School of the University of Pennsylvania before severe depression made him unable to work. (“We get ‘em from Yale; we get ‘em from jail!” he jokes).